Petsmart is now carrying a new kind of dog toy… a crocheted one! 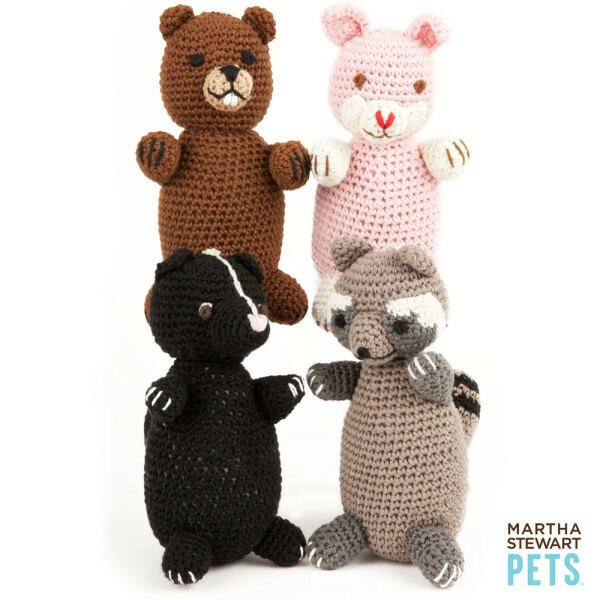 Martha Stuart’s Pets collection includes a variety of cute crocheted toys ideal for cuddling, playing and chewing! Marianne Berkey, an archeologist with B.C. 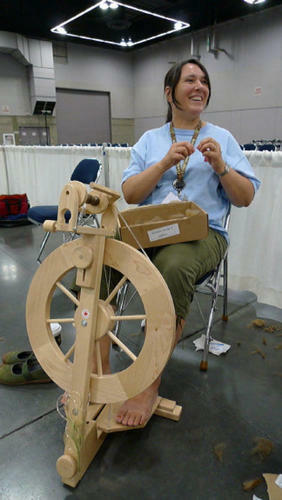 Hydro, works at her spinning wheel during the Fleece to Foot knitting competition at the Sock Summit in Portland, Ore., that took place July 28 to 31, 2011. Berkey’s team, the Worldwide Mash-Up, won the contest. PORTLAND, ORE.—The way Gusset, Instep and Heel Flap are being paraded through a phalanx of cameras, you’d be forgiven for wondering about the absence of a red carpet. The trio clearly has star status, or as close to that as you can get when you’re a California Variegated Mutant lamb, en route to your very first shearing. Then again, not all sheep find themselves marking this rite of passage at the Oregon Convention Centre, where nearly 6,000 hand-knit-sock enthusiasts have gathered, some from as far away as Australia and Nova Scotia. Gusset, Instep and Heel Flap duly have their first encounter with Wolf, as in expert shearer Amy Wolf, who quickly relieves them of vast amounts of fleece, setting the stage for the marathon knitting session that will mark the end of Sock Summit 2011. Six teams, each with five members, will soon each be given one pound of fleece, which they’ll be tasked with carding, spinning and knitting into a pair of socks, all from the same complicated pattern involving five pieces (and a kind of Esperanto akin to chess columns). Round 1: k1, llinc, k to 1 st before end of needle, rlinc, k1 twice.